We have a nice selection of high quality baldrics. 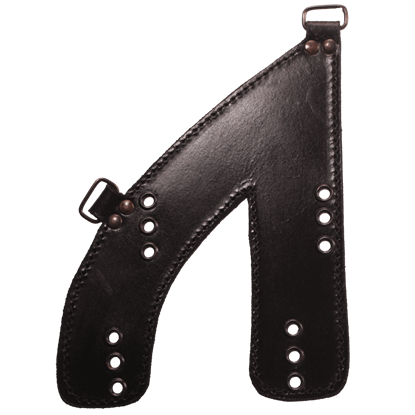 These leather baldrics are designed to let you carry your sword with ease. 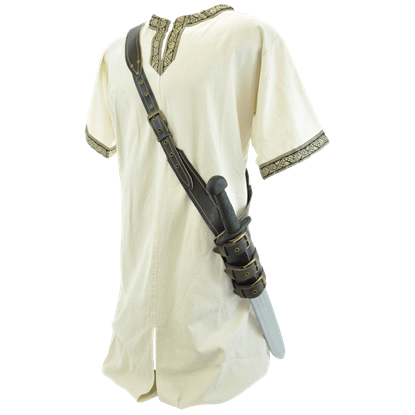 Most leather baldrics allow you to hang your sword on your left or right side, or on your back. They hang on you like a sash would as opposed to a belt around the waist. 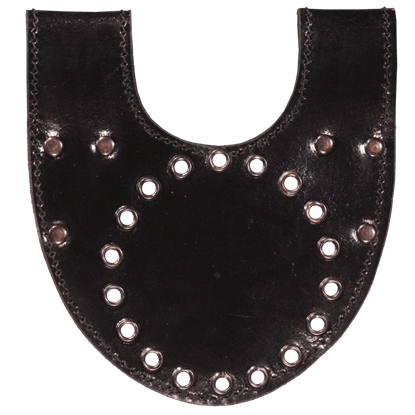 All our leather baldric are heavy duty and have adjustable frogs to hold almost any size scabbard. All our leather baldrics are handcrafted from quality leather. Carrying your weapon crossbody has its advantages. 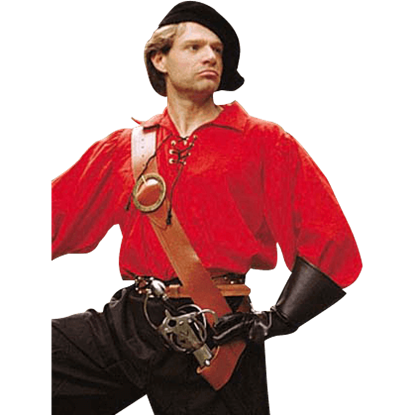 With the Medieval Leather Baldric, you can keep your sword securely on your person yet ready to draw for battle. Its sword frog sits at the hip, suspended from the shoulder strap. 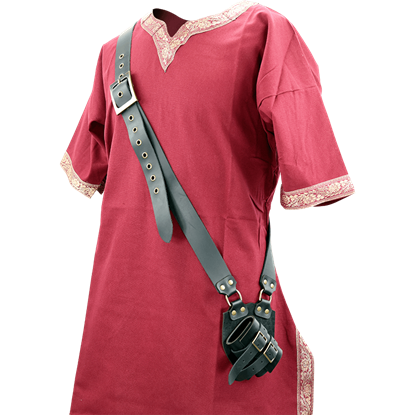 A baldric is more than just a stylish addition to your attire. 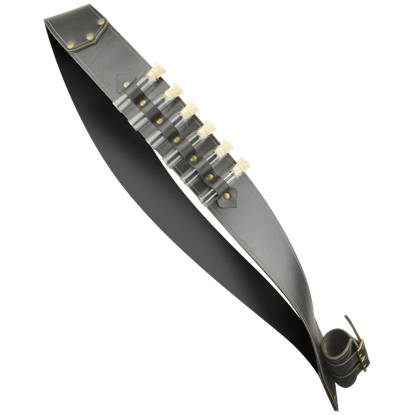 It is also an effective way to support your weapon, ensuring that no matter where the tides take you, this Pirate Baldric keeps your trusty cutlass ready at your side! 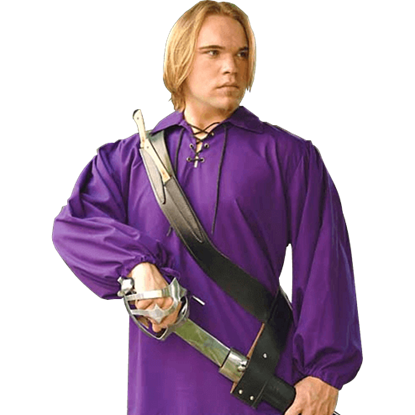 Most baldrics are used to hold a sword. 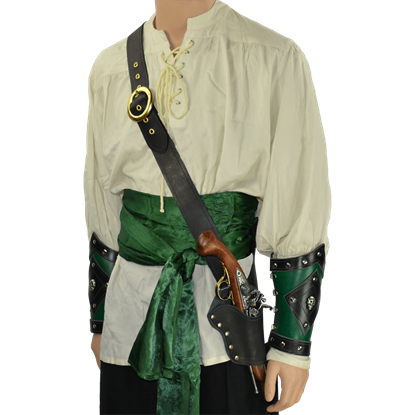 In this version, our pirate themed baldric has a pistol holster instead of a sword frog. 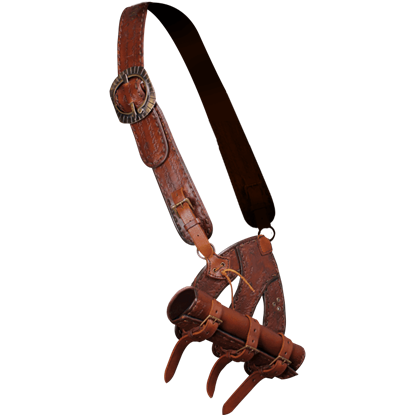 Our Pirates Single Holster Pistol Baldric will make a great addition to any pirate or steampunk ensemble. 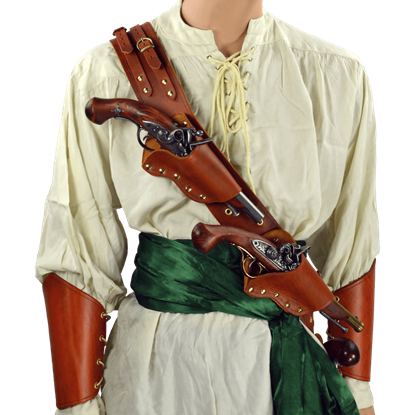 Our Pirates Triple Threat Pistol Baldric is for the pirate who needs to be armed at all times. 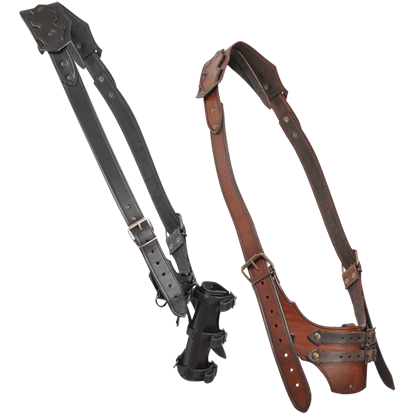 Our pistol baldric is handmade from quality leather and features three holsters that fit flintlock, blunderbuss, and western style pistols.